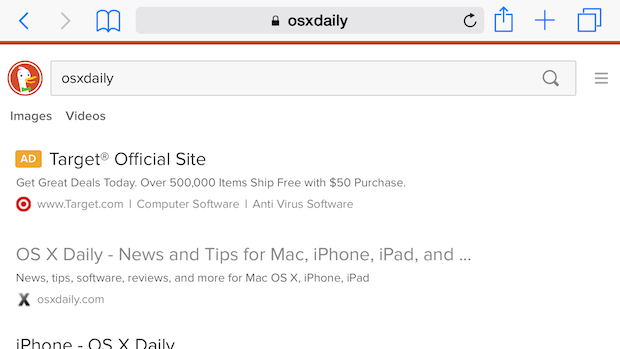 When you tap on the URL bar in Safari on your iPhone or iPad and enter a phrase or term to search for, that search gets carried over to a search engine to find results, and on you go (unless you’re opting for on-page search). Many users don’t realize this, but you can actually customize and change the default search engine used by Safari in iOS if you want to, which can be helpful for some users in locations where access to particular websites is controlled, or even if you just have a personal preference for one web search tool over another. 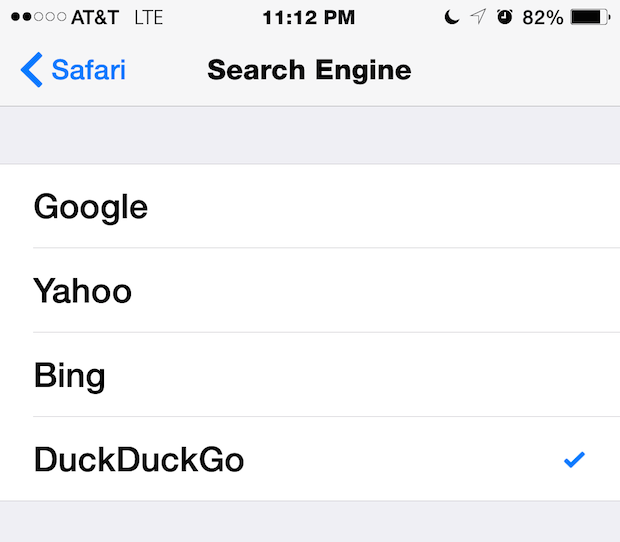 Currently, you can switch the Safari search feature to use either of four major engines, including Google (which is the default option), Yahoo, Bing (the default option used by Siri web searches), or DuckDuckGo. Ultimately which you use is a matter of user preference, and they’re all pretty good options, each with strengths and some with a few weaknesses. For what it’s worth, I switched back to Google because it’s my preference, and keeping the default of Google makes a great choice, but some users are partial to like Yahoo, prefer Bing, and some people really like the privacy-centric DuckDuckGo search tool. Ultimately it’s a matter of personal preference for many users, but some networks (and parts of the globe) can block particular websites and searches or otherwise restrict them, which may make changing the search engine a necessity depending on where you’re accessing the internet from on your iPhone or iPad. The choice you make here also impacts the web searches performed from Spotlight in iOS, as well as the selected text search tool, but has no impact with the searching on-page text function of Safari, so keep that in mind. Worth noting is that while Google is the default search choice for Safari in iOS, Siri defaults to using Bing. While making a change to Safari does not impact Siri web searches directly, you can issue a command to Siri to use different web search engines like Google or Yahoo if you want to. It’s fairly likely that Siri will also obey the Safari search changes in the future, however. Better yet, install the Extension DuckDuckgo and forgo any tracking of your searches, no matter who you use.